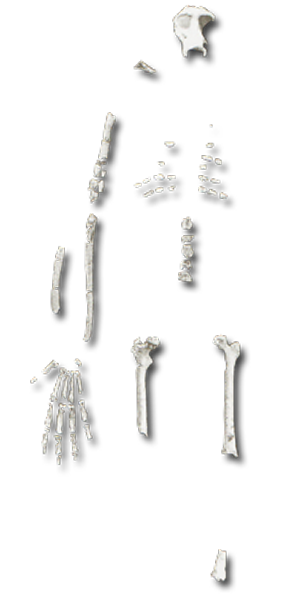 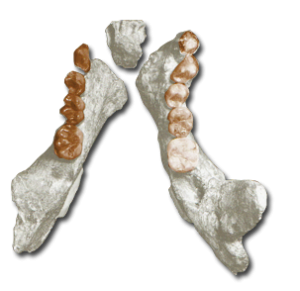 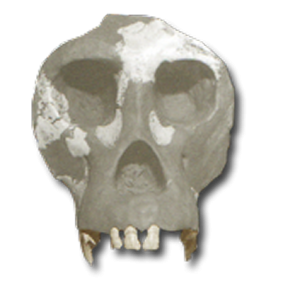 Dryopithecus is a genus mainly defined by isolated dental remains. 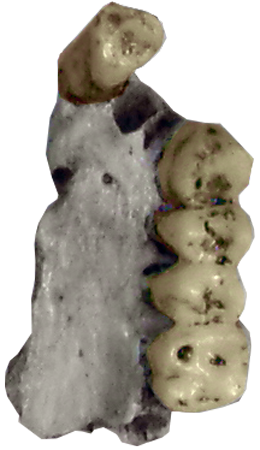 All 4 species (D. brancoi, D. crusafonte, D. fontani, D. laietanus) display the following traits: robust incisors, compressed canines, elongated premolars and molars that were thinly enameled and robust jaws in males. 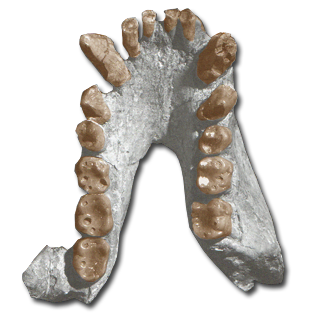 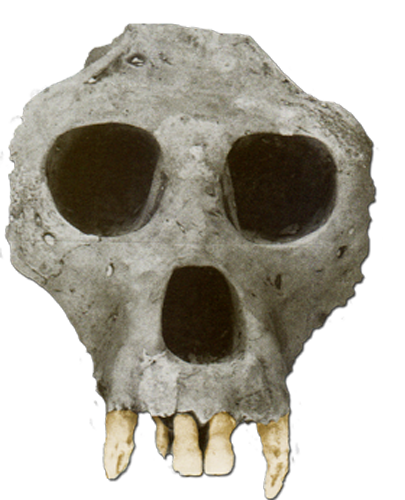 The zygomatic bone of Dryopithecus displays characters (overall robusticity and 3 zygomaxillary foramina found on the frontal process that are functionally related to the presence of cheek pads (Moya – Sola and Kohler).